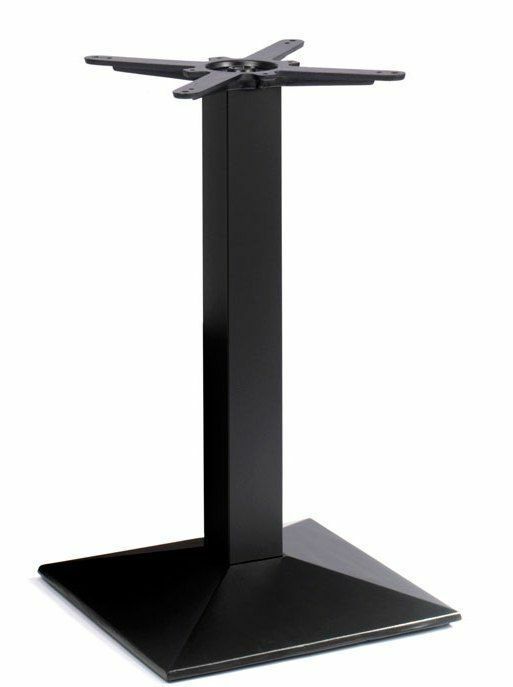 High quality Black table base with a pyramid style foot, suitable for use with table tops up to 800mm square or round. Available from stock for a free and fast delivery. Table base manufactured in cast iron and finished in black epc paint. Long lasting design single column cage table base, this item is held in stock in high volumes for a quick delivery lead time of roughly 2-3 working days.